One half of the legendary hip hop group GANG STARR, GURU KEITH E is reported to be in a coma following a cardiac arrest over the weekend. That's sad news indeed. 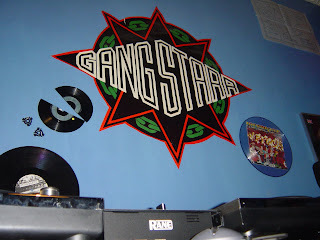 GANG STARR hold a firm place in hip hop history and have always been a DAILY DIGGERS favourite, you only have to peep the lab wall to see that. Here's wishing GURU a speedy and healthy recovery. This news def had me shook!